Transcribing audio files can be extremely demanding. 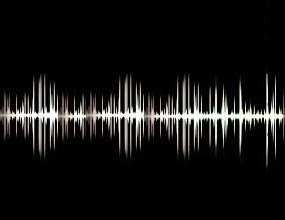 Background noise, audio distortion and the challenge of comprehending regional and international accents can make the job very difficult. 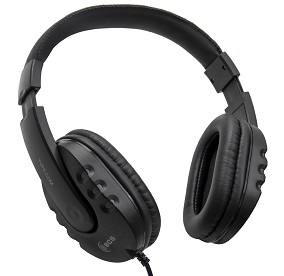 The ECS-OHWMUSB WordMaster is a state of the art transcription headset with a premium in-line built-in sound card, which bypasses computer sound cards and matches the frequency response of the spoken word, delivering superior audio quality while filtering out background noise. It is especially effective on distorted dictations with low audio. Guaranteed to be the best sounding around-the-ear over the head transcription headset you’ve ever heard. 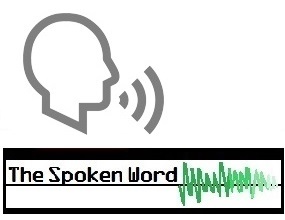 The spoken word has never sounded this clear! 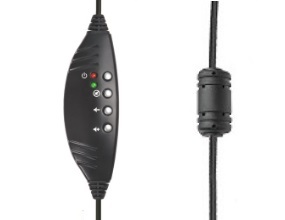 The specially engineered ECS-OHWMUSB around-the-ear transcription headset can be seamlessly and easily integrated into your existing digital transcription software. 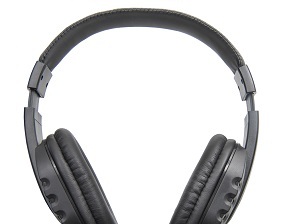 The WordMaster is perfect If you are looking for over-head headphones that provide great sound quality and confort. Our exclusive technology is design to matching frequency response with the spoken word. 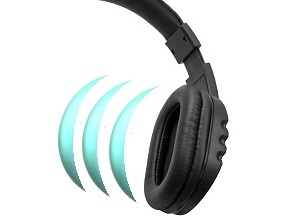 Normal 3.5 mm transcription headsets are designed to work with the internal sound card built into computer which is designed to match the frequency response of music. The ergonomic built-in volume control allows you to adjust volume up and down easy wile reproduction is in progress. 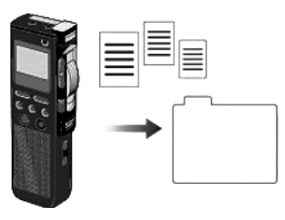 Specifically designed to used with must transcription programs up there. Adjustable head band with over 1/2 inch of foam padding for enhanced wearing comfort. 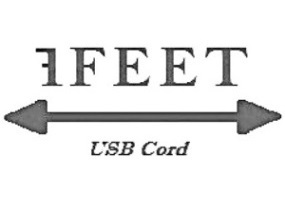 The 7 foot cord gives you the freedom to move around your work area without having to remove the headset. 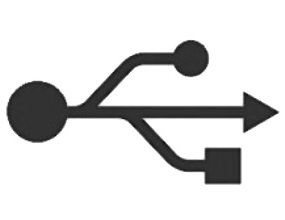 There is no software driver or external power adapter needed and it connects in seconds. 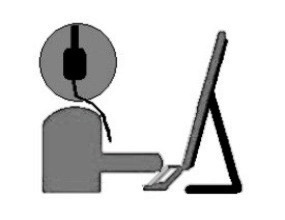 Just plug your Transcription Headset into a free USB port on your PC.